The Illusionarium, an all-new dining and entertainment experience aboard Norwegian Getaway, was announced at Cruise Shipping Miami today. A first of its kind at sea, The Illusionarium by Norwegian Cruise Line will envelope guests in the fascinating world of magic, inviting them to experience the astonishing illusions of world-class magicians and supernatural special effects. Norwegian Getaway cruise ship will bring the excitement and allure of the Magic City to sea when she arrives in Miami in February 2014. The new experience is the result of a first of its kind collaboration between Norwegian’s groundbreaking entertainment team and Broadway director/choreographer Patricia Wilcox, Tony Award winning scenic designer David Gallo and veteran magician Jeff Hobson. The show’s design is inspired by the science fiction of Jules Verne, the artistry of legendary magicians such as Houdini and the popularity of recent blockbusters featuring supernatural characters. As guests wait to enter the portal of The Illusionarium, they will be surrounded by antique spell books, magical interactive artifacts and relics in a steampunk-inspired environment. 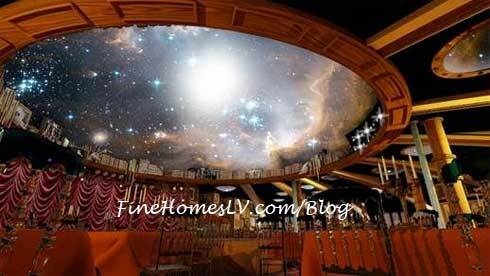 The centerpiece of the Illusionarium is a 30’ diameter video dome that will transport audiences to mystical places. The Illusionarium will offer 12 performances per cruise, two shows per night. 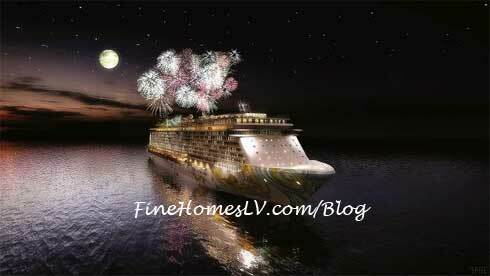 Adding to the ship’s excitement, Norwegian Getaway will also feature a dazzling display of fireworks on every cruise. As guests dance the night away under the stars in the open-air Spice H20 venue at the aft of the ship, a mesmerizing color-filled fireworks show will light up the night sky, right above the ship. The fully-produced show is a visual masterpiece that is set to music, creating an incredible finale to the cruise. 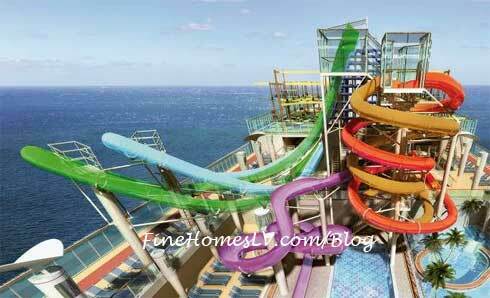 The Aqua Park is one of Norwegian’s biggest and features five multi-story water slides. Norwegian Getaway and her sister ship, Norwegian Breakaway, are the first cruise ships to feature the Free Fall – two side-by-side slides where guests will stand up and have the floor drop from underneath, propelling them into a thrilling loop. Offering another first with a twist are two additional side-by-side twister slides – called The Whip — that deliver an unforgettable adrenaline rush as they plunge guests on a spiral race to the finish line. For those who prefer a more relaxing ride, there is a family-friendly open-flume body slide. The Aqua Park also features two swimming pools, four hot tubs and a semi-open air eatery. The three-story sports complex will feature a multi-level elevated ropes course that will challenge guests to more than 40 different elements, including a zip track. For a thrill like no other, guests will confront The Plank, a platform that extends eight feet over the side of the ship. Those who choose to walk The Plank will be rewarded by having their photo taken after conquering this heart-pounding, yet breathtaking, feat. Kids will be challenged as well with a special ropes course just for them. In another first for the line, the nine-hole ocean-themed miniature golf course is located beneath the ropes course, offering family fun with friendly competition. A rock climbing wall, bungee trampoline and spider web, a 24-foot enclosed climbing cage complete with a spiral slide, round out the activities. Norwegian Getaway will also feature adult-only outdoor enclaves. Spice H2O, located at the back of the ship on deck 16, is an adult-only escape offering day-time relaxation and night-time exhilaration. A bevy of sun loungers surround a huge video screen, complete with two hot tubs and a soothing dual waterfall feature, perfect for cooling off from the sun. At night, guests can dance under the stars or chill at the bar with accompanying lounge area, featuring comfortable seating while admiring the ocean views. To date, the company has revealed the ship’s groundbreaking design, including The Waterfront and 678 Ocean Place; a wide range of indoor and outdoor venues on three dynamic decks that will create a whole new complex at sea that enhances guests’ connection with the ocean. Celebrity Chef and Food Network star Geoffrey Zakarian will also debut three dining concepts on Norwegian Getaway: Ocean Blue by Geoffrey Zakarian; Ocean Blue on the Waterfront and The Raw Bar. Norwegian Getaway will also be the first to have the GRAMMY® Experience at sea which will feature artifacts chosen and curated by the GRAMMY Museum® along with live performances by past GRAMMY winners and nominees, among others.